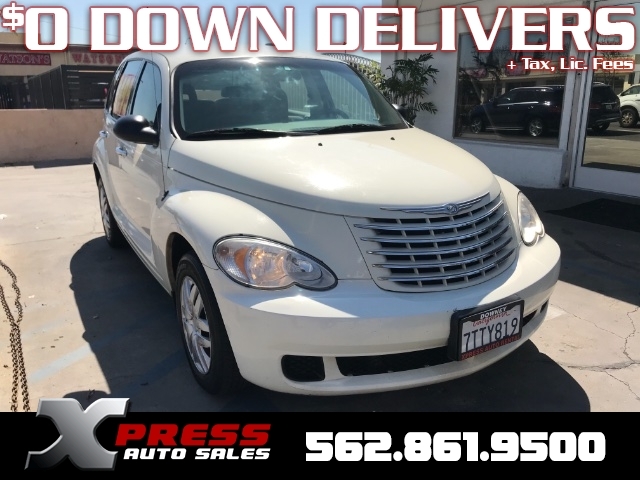 Retro is loads of fun and this 2007 PT Cruiser Wagon started it all in stunning White. 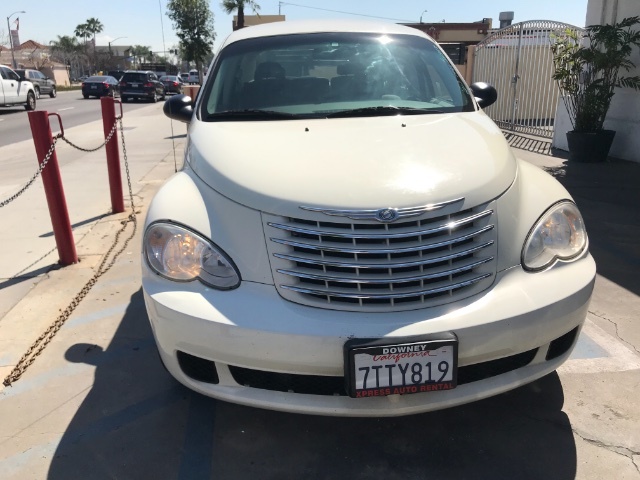 Our PT Cruiser is equipped with a reliable Chrysler 2.4 Liter 4 Cylinder producing 150hp connected to an Automatic transmission. This Front Wheel Drive, gets you 24mpg on the open road. Let's go cruising! This Cruiser's much-loved aggressive exterior posture recalls a '37 Plymouth and brings up images of gangsters and police chases, but these days it is outfitted to run your errands with an occasional road trip. The exterior sports alloy wheels and fog lamp, and a rear spoiler. 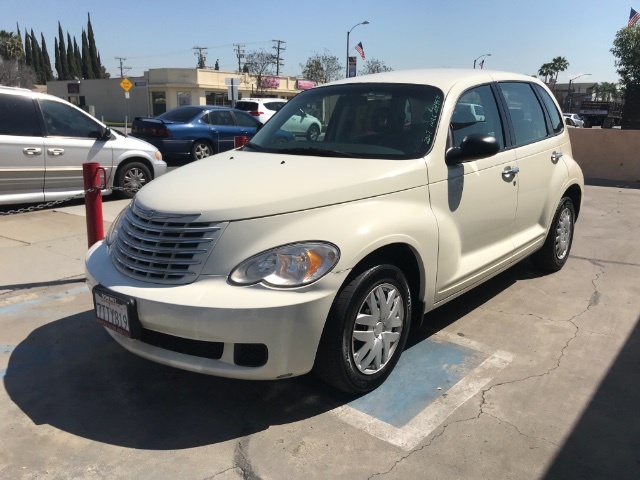 This Cruiser brings you lots of popular features inside and out. Inside the roomy cabin there is keyless entry, tilt wheel, power accessories, a nice stereo with AM/FM/CD Auxiliary input, and cruise control. 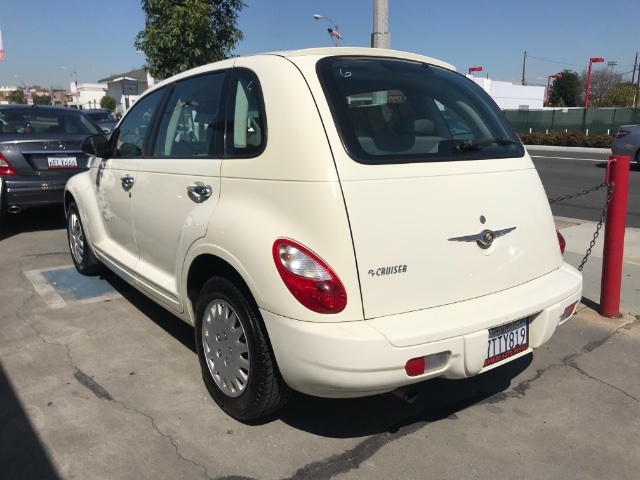 Plus, look at the PT Cruisers versatility: its trunk area with the rear seat up can handle your camping equipment or cover your baggage for a short trip, but with the rear seat down it becomes a cavernous 747-like cargo holder. If you can't find a good motel, there's room in the back for you to stay there. You may like this car enough to move in! For your safety, airbags and child safety locks are standard. Scan the pictures and feature lists of this sleek retro and then... Print this page and call us Now... We Know You Will Enjoy Your Test Drive Towards Ownership!